The Private Academic Library Network of Indiana (PALNI) recently joined the Open Textbook Network (OTN) in order to further its initiatives for affordable education and student success across the state. 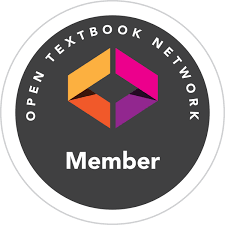 OTN maintains the Open Textbook Library, and is well known for helping organizations to advance the use of open textbooks and practices on their campuses. They’ve had great success with their initiative: OTN members have saved their students over 8.5 million dollars! To kick things off, PALNI’s selected system leaders will attend the OTN Summer Institute this July for a week of intensive training. They’ll be trained to bring expertise, mentorship, and best practices back to PALNI, and specifically learn how to facilitate workshops to engage faculty. Through this model, system and campus leaders alike will encourage the adoption of open and affordable resources in the classroom, and in doing so maximize student success. PALNI’s Affordable Education Initiatives Task Force, as a result of their exploratory efforts, recommended membership in OTN as the first step in PALNI’s program strategy in this area. The program, recently christened PALSave: PALNI Affordable Learning, includes many elements with which other consortia have experienced success, such as outreach, project facilitation, and assessment. As part of PALNI, supported institutions will enjoy affiliate status in OTN, have access to a trained team to educate faculty on benefits of Open Educational Resources (OER), and help redesigning courses via the PALSave team, at no additional cost. Additionally, OTN staff will be coming to Indiana this fall to facilitate an Open Textbook Workshop (date to be announced). For more information about PALSave: PALNI Affordable Learning or PALNI’s membership in OTN, contact PALNI Scholarly Communications Director Amanda Hurford (amanda@palni.edu). PALNI is a non-profit organization supporting collaboration for library and information services to the libraries of its twenty-four supported institutions. PALNI provides everything from resource management systems to sharing expertise in many areas including strategic planning, reference, information fluency, outreach, data management and configuration, and has identified greater collaboration in acquisitions as a key goal. Majority of collaboration occurs in our private space, PALNI Community. Thanks to QuestionPro's generosity, we now have survey software that powers our data intelligence. Want to keep up with what's going on at PALNI? Follow us across our Social Networks.